Original item held at the State Library of Victoria, SLV MS13071, SAFE 1. 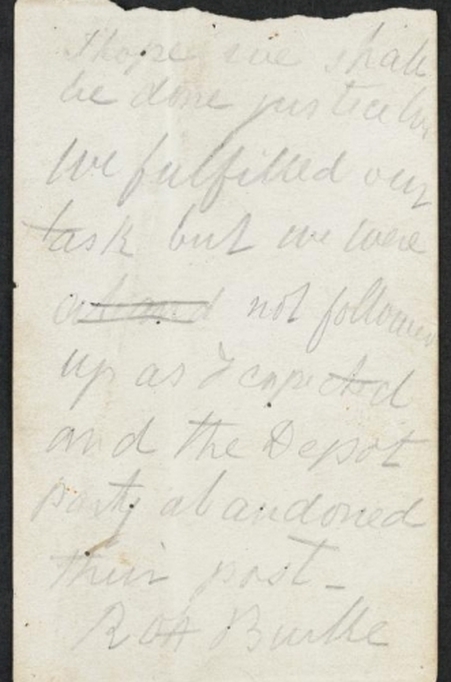 Last notes of Robert O'Hara Burke, dated 26 & 28 June 1861. 8p, ms.
Australian Manuscripts Collection. State Library of Victoria. Burke's last notes are written on four pages detached from a notebook. 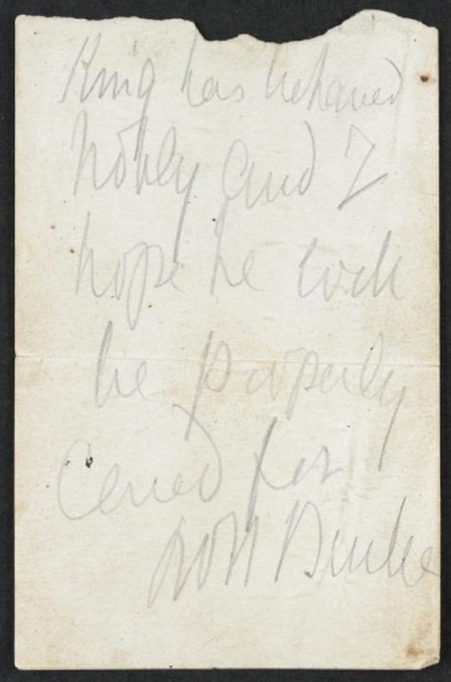 Burke read these notes to John King shortly before Burke died. King looked after the notebook and gave it to Sir William Stawell, President of the Royal Society of Victoria, in Melbourne on 5 December 1861. Stawell read the pages to a meeting of the Exploration Committee on the same day and it is possible this was when Stawell detached the pages from the notebook. 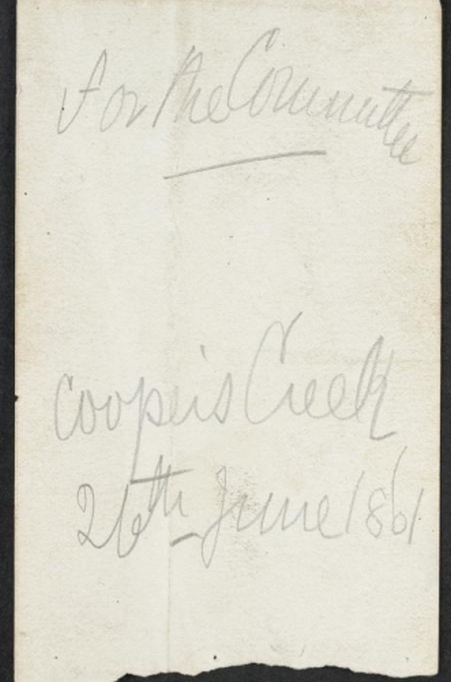 The Royal Society of Victoria donated the pages to the State Library of Victoria in 1875, but the contents and whereabouts of the rest of the notebook in Stawell's possesion is unknown.